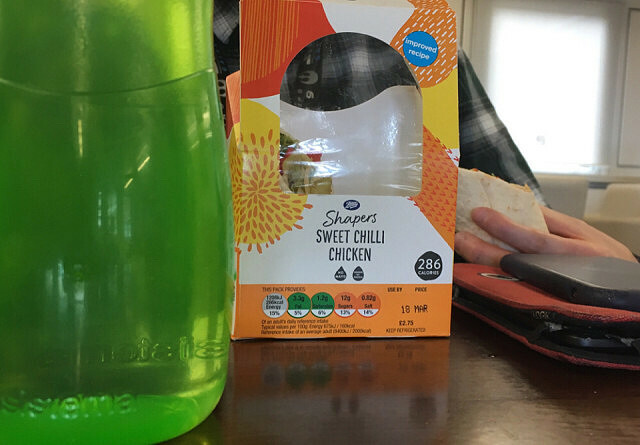 Every day Chris D eats a Boots sweet chilli chicken wrap. Unless it’s sold out. Then he goes for the BBQ chicken wrap. Every day. Leak in flat was due to faulty joint under bathroom floor. Two tiles needed to come up. Fingers crossed that’s cured it. Nick rocks up shortly after I get home. I cook more potatoes and add the rest of the veggie haggis. More than enough for two.